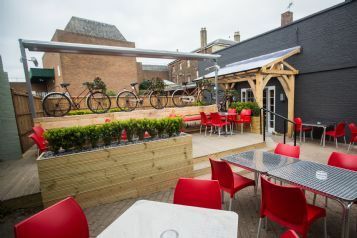 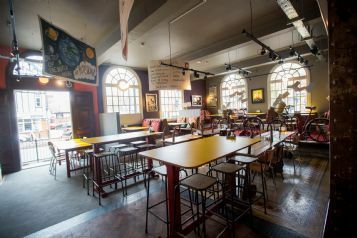 Originally opened as a Post Office in 1935, The Jolly Postie pub has undergone a dramatic transformation from a rundown pub with little natural light, into a bright popular themed pub and restaurant. 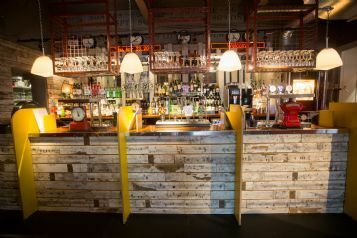 Following a full strip out of internal walls, furniture and fittings, the brick-built corners of the previously uninviting building were knocked out and replaced with frameless glazed openings, giving a contemporary look and feel to the pub as well as letting in substantially more light. 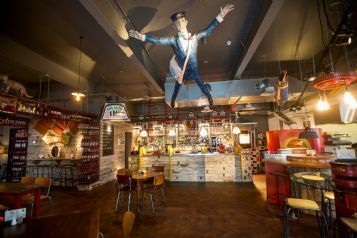 Internally, the construction included the installation of a new professional Pizza Kitchen area, bringing the theatre of the kitchen and food preparation area into the heart of the pub. 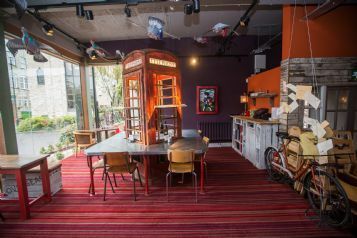 This was further complemented by the installation of a centrally placed bespoke open fireplace. 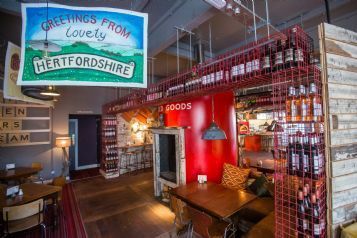 Based on a 1940’s austerity theme, the fittings included an old Post Office Van adapted to accommodate eight diners, a traditional red telephone box encased in the centre of a large dining table, Post Boy bikes acting as internal and external balustrading, and steel mesh post-sorting cages adapted to display wine cases and bottles. 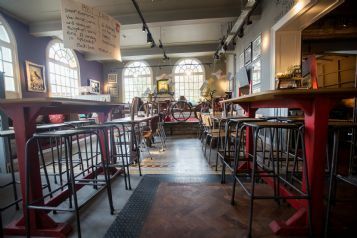 The retro feel was further enhanced with the installation of reclaimed boarding and timber for flooring, cladding and partitioning, along with the refurbishment of the original Post Office mosaic flooring.